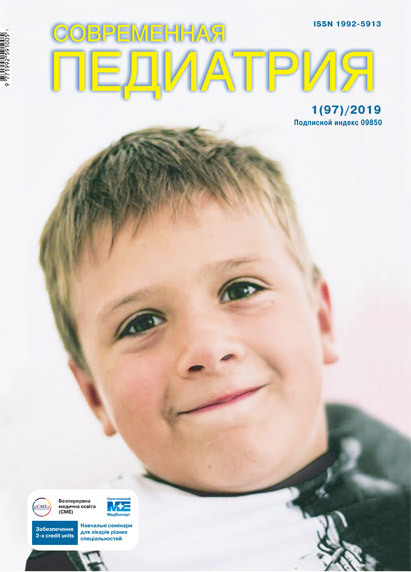 Published: Sovremennaya pediatriya. — 2015. — № 1 (65) — C. 50–56. The results of the study of clinical efficacy of the herbal preparation Herbion ivy syrup in the treatment of children with acute simple bronchitis. It is shown that the 10-day course of drug treatment induces complete clinical remission of disease (normalization of body temperature, loss manifestations of intoxication, cough regression and normalization of lung auscultation pictures). The effectiveness of that drug course confirmed dynamics of computer fonspirohraphy parameters for detection of nature and intensity of auscultatory changes inherent acute bronchitis simple at the beginning and during treatment. The application herbal preparation Herbion ivy syrup in children with acute bronchitis is not only effective but also safe option pharmacological care of these patients. Key words: acute simple bronchitis, treatment, children, Herbion ivy syrup. 1. Antypkin YuH. 2004.Naukovi ta praktychni pytannia dytiachoi pulmonolohii. Aktualni problemy pediatrii na suchasnomu etapi. Mat 11-ho z’izdu pediatriv Ukrainy. K: 93. 2. Banadyha NV. 2010. Bronkhity u ditei. Ternopil, Volia: 192. 3. Banadyha NV. 2013. Vybir antybakterialnoi terapii v likuvanni bronkhitiv u ditei. Zdorove rebenka. 1: 44. 4. Volosovets AP, Krivopustov SP, Yulish EI. 2004. Antimikrobnaya terapiya rasprostranennyih zabolevaniy v detskom vozraste. K.
5. Dudnyk VM. 2013. Novi mozhlyvosti zastosuvannia sekretolitykiv u kompleksnii terapii hostroho obstruktyvnoho bronkhitu u ditei rannoho viku. Astma ta alerhiia. 4: 82—86. 6. Zhigunova AK. 2012. Fitoterapiya ostrogo i hronicheskogo bronhi ta s primeneniem preparata Bronhipret: dokazannaya effektivnost. Ukr med chasop. 4(90): 69—78. 7. Zuzuk BM. 2011. Plyusch vyuschiysya.Hedera helix L. (analiticheskiy obzor). Provizor: 26—29. 8. Smirnova MO, Rozinova NN, Kostyuchenko MV i dr. 2007. Klinicheskie i patogeneticheskie osobennosti raznyih variantov hronicheskogo bronhita u detey. Ros vestn perinatol i pediatrii. 3: 22—27. 9. Kobets T. 2005. Patogeneticheskaya terapiya ostryih bronhitov u detey. Medicus Amicus. 5. 10. Kostromina VP, Rechkina OO, Usanova VO. 2005. Suchasni pidkhody do likuvannia zakhvoriuvan orhaniv dykhannia u ditei. 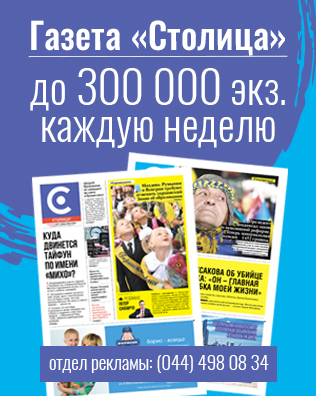 Metodychni rekomendatsii. Ukr pulmon zhurn. 3: 68-72. 11. Lapshyn VF. 2009. Bronkhity u ditei. Pohliad pediatra. Medical Nature. 1: 8—11. 12. Maydannik VG. 2003. Klinicheskie rekomendatsii po diagnostike, lecheniyu i profilaktike zabolevaniy verhnih dyihatelnyih putey u detey. K, Aspekt Poligraf: 177. 13. Marushko YuV, Moskovenko ED, Bryuzgina TS. 2013. Efficiency of primrose syrup phytopreparation in the treatment of acute bronchitis in children.Sovremennaya pediatriya. 5: 80—84. 14. Popp M. 2007. Tehnologiya fitoniringa: neischerpaemyiy potentsial, bolshie perspektivyi. Zdorove Ukrainyi. 13—14: 60—61. 15. Protokoly nadannia medychnoi dopomohy ditiam za spetsialnistiu «Dytiacha pulmonolohiia». Nakaz MOZ Ukrainy vid 13.01.2005 r. № 18. http://www.moz.gov.ua. 16. Strizh VO, Kostromina VP. 2010. Acute bronchitis at children: modern aspects of anti-inflammatory therapy. Sovremennaya pediatriya. 1(29): 99—104. 17. Antypkin YuH, Arabska LP, Smirnova OA ta in. 2003. Suchasni pidkhody do diahnostyky, profilaktyky retsydyvuiuchykh i khronichnykh bronkhitiv u ditei. K: 122. 18. Gaymolenko IN, Tretyakova NN, Tihonenko OA, Panchenko AS. 2011. Faktoryi riska i mehanizmyi razvitiya chastoy respiratornoy zabolevaemosti u detey. Pulmonologiya. 5: 29—33. 19. Maydannik VG, Emchinskaya EA, Makarenkova AA, Makarenkov AP. 2013. Fonospirograficheskaya diagnostika kliniko-rentgenologicheskih form vnebolnichnoy pnevmonii u detey. Mezhdunar zhurn pediatrii, akusherstva i ginekol. 3;2: 49—56. 20. Gepdiremen A, Mshvildadze V, Suleyman H, Elias R. 2005. Acute anti-inflammatory activity of four saponins isolated from ivy: alpha-hederin, hederasaponin-C, hederacoichiside-E and hederacoichiside-F in carrageenan-induced rat paw edema. Phytomedicine. 12(6—7): 440-444. 21. Bolbot Yu, Prokhorov E, Mokia S et al. 2004. Comparing the efficacy and safety of high-concentrate (5-7.5:1) ivy leaves extract and Acetylcysteine for treatment of children with acute bronchitis. Drugs of Ukraine. 22. European Medicines Agency. Assessment report on Hedera helix L. Folium. London, EMEA, 2010: 87. 24. Holzinger F, Chenot JF. 2011. Systematic review of clinical trials assessing the effectiveness of ivy leaf (hedera helix) for acute upper respiratory tract infections. Evid Based Complement Alternat. Med: 382—89.